'Rumi' ﻿ (Lowell Baumunk, R. 2017). Seedling# 323A. AB (OGB), 14" (36 cm), Early bloom. Standards creamy white, bright yellow in midrib; style arms clear bright yellow; falls same, brown haft marks, 1 ¼˝ round brown signal; beards yellow in throat and middle, ends yellow-orange. 'Turkish Heart' X 'Aladdin’s Gem'. 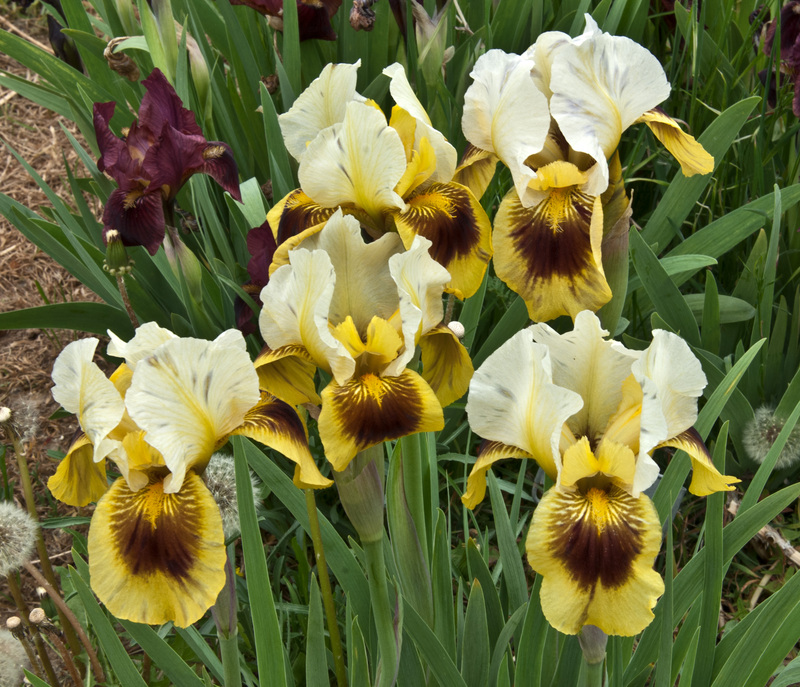 Iris Colorado 2017.
jpg rumi1.jpg manage 141 K 31 Mar 2019 - 01:50 Main.TLaurin Photo by Seandel Iris Gardens.